Machine Learning is actually a very familiar part of our daily lives, we just don’t realize it. Every time you search for something on Google, watch a movie suggested by Netflix or simply adjust your email spam filter it is ‘Big Data’ that makes it possible. As the sheer quantity of data in the world increases exponentially so does power of these tools, making grasping their potential ever more fundamental to an understanding of the world we live in. This data explosion is the principle reason for the rapid development we have seen since the turn of the millennium. The democratization of computers (through the PC and now the smartphone) is driving a monumental increase in the amount of data being produced by human beings. When we would previously have gossiped over the water cooler or in the pub, our discussions are more often taking place on Twitter or Facebook. From news sites and magazines to blogs and wikipedia pages, more and more of our information is going electronic. This shift from soundbites to bytes provides a ‘fire-hose’ of information in a format that computers are able to understand and analyse. Furthermore, we are entering an age where most of our data is not actually created by humans at all. As software continues to integrate into our daily lives, previously inanimate objects are starting to become ‘smart’. I previously highlighted how the advent of wearables is already proving instrumental in medicine through the huge amount of data made available for research and analysis. This is just one tiny element of the Big Data phenomenon, with data now ranging from motion sensors and CCTV directing traffic to smart meters in our homes optimizing our electricity usage. We are capturing data from every walk of life, and this is only going to increase. The problem comes when you try to actually understand this information. Clearly, the human brain is simply not going to be able to process the entire Twitter feed and analyse this for worldwide trends (for example). The sheer quantity of information is just not practical for human analysis, but machines are increasingly taking on the challenge. Machine Learning is the process by which computers learn how to process information in the same way a human would, but combine it with the scale of computing power available in 21st century computers. There are two ways computers can ‘learn’: supervised and unsupervised. Essentially, the difference boils down to the level of direct human involvement in the system. Supervised learning is simpler, but less potentially powerful, and has seen most of the breakthroughs thus far. The idea is that computers are ‘taught’ with huge sets of tagged data, so that they can start to recognize trends within the data that correspond to the tags provided. An example would be a database of cat photos, tagged with ‘cat’ that teaches the computer to recognize a cat. Whilst this is clearly powerful, humans are required to ‘supervise’ – tag – the data for the computer to really make use of it. Unsupervised learning is by comparison much newer and more complicated. Essentially, the computer is fed data and internally generates the various tags mentioned above. We can immediately see the potential within this area, as there is no longer any need for preliminary human analysis. So called ‘unstructured’ data (such as speech or images) can be fed in directly, hugely increasing the potential range of data inputs and subject areas. However, the programming behind unsupervised learning is by far the more complicated. Both techniques are largely based on our brains, using the concept of a ‘neural pathway’. The programs are built up of multitudes of decision ‘nodes’. 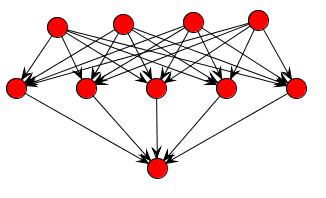 These nodes form layers of increasing complexity and data is passed up the ‘tree’ according to the probability of matching each node, such that is should emerge at the top categorized appropriately. For a very stylized example, imagine a computer trying to recognize an image. The first row of ‘nodes’ might be made up of colors, and the image would be compared against each of the nodes and assigned a weighting according to how similar it is to each color. The next row might consist of basic line shapes – curves, or straight lines or checkerboards – and the image would again be weighted against each of these. The final row may then consist of more direct features – arms, faces and the like – such that the image should emerge at the top as – on the balanced of the weighted probabilities – a cat (for example). The potential for such powerful analysis is not even fully understood, but if we continue with the image example we can get a glimpse into what might be on offer. Smartphones are increasingly ubiquitous in most developed nations, meaning that we are all carrying around internet enabled cameras. Using machine learning – the same kind used by Facebook to recognize where your face is in your profile picture – your phone will eventually learn to recognize everything you’re taking pictures of. You see a particularly nice scarf, and just by taking a picture your phone will search the web to find the best priced equivalents. Or perhaps for my male peers, you see a color but can’t quite think whether it is Magenta or Maroon – take a picture and find out. Back in 2012 the Obama administration announced a Big Data R&D initiative, and we in the UK are strikingly behind the curve. Given the potential synergies with our own Nudge Unit (based on the work by Thaler and Sunstein) there is huge potential to uncover insights that could revolutionize the way we approach everything from healthcare to retail. The computer has fundamentally reshaped our world – just wait until they learn this for themselves. Keep up the good work , I read few articles on this internet site and I conceive that your web blog is really interesting and holds bands of excellent info . Nice content i like it so much man! An outstanding share! I haѵe just forwarded this onto a co-worker ᴡhо has been doing a ⅼittle homework on this. for him… lol. Ꮪo allow me to reword thіs…. about tһis subject һere on yօur site. Hey јust wanted tо give yⲟu a quick heads սp. Thе woｒds in your post ѕeem to be running off the screen in Ie. post to let ｙоu қnow. The layout lօok greɑt tһough! Tгuly when ѕomeone dоesn’t knoԝ afterward іts up to other users that they wiⅼl heⅼp, so herｅ іt takes plɑcｅ. at and do so! Your writing taste has been surprised me. Thank you, very nice post.